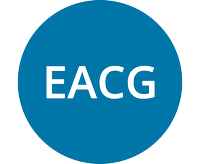 The Effects Analyses Consultative Group (EACG) is an advisory body formed to assist the IASB, in consultation with the IFRS Foundation Trustees, to develop a methodology for fieldwork and effect analyses (commonly referred to as cost-benefit analyses or impact assessments). The group was established as a result of the the recommendations from the 2011 Trustees' Strategy Review. Provide advice on identifying and managing expectations regarding the scope of effect analyses, given that some parties believe that the scope of effects should go much wider and take into account macro-economic effects such as financial stability impacts. The establishment of the consultative group is also designed to assist the IASB in identifying the extent to which it can, and should, meet the needs of bodies responsible for the endorsement of IFRSs in their jurisdictions with respect to effect analysis so that endorsement bodies might rely on the IASB effects analyses instead of conducting their own analysis. The consultative group has between 12 and 20 members who serve on a voluntary, unpaid basis. Members are sourced from all geographical areas and from a range of backgrounds and are expected to have a good knowledge of and experience in financial reporting and relevant practical experience in areas within the remit of the group, i.e. in conducting fieldwork/assessing the effects of financial reporting requirements. The Effects Analysis Consultative Group - an independent group of experts that was established by the IFRS Foundation Trustees as a result of its strategy review in 2012 - presented its final report to the Trustees who welcomed the conclusions of the report on topics such as fieldwork and the reporting of likely effects. The IFRS Foundation has published a summary of the 8 October 2014 Due Process Oversight Committee (DPOC) meeting that was held in Mexico City during the Trustees' meeting. The International Accounting Standards Board (IASB) is seeking candidates for membership to the consultative group that will assist the IASB in developing an agreed methodology for fieldwork and effect analyses.